The Fiat 500 is a subcompact car that's beautifully designed with modern lines and features. However, you can transform the car into something that's ready for the race track with distinct exterior upgrades. Don't buy your touch up paint online. The dealership is really the only place you can trust when we're talking about exact color and finish. What Will a Backup Camera Do for You? A backup or rear-view camera is a camera that displays what is behind your vehicle on a screen inside your vehicle. 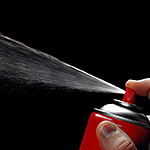 At Planet FIAT we offer help with safety features for new car owners. Our community of Miami is a great place to try out a rear-view camera! Parking lots and busy residential areas offer great places to utilize the functions of a backup camera. Jump starting a car is done by connecting a dead battery to a vehicle that has a working battery. 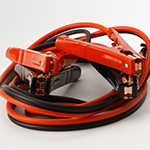 The jumper cables are red and black and have matching terminals on both car batteries. Turn off the working car and attach the jumper cables to the battery. Be careful about the clamps touching, as this will cause a spark. The new Fiat 500 is regarded again as a popular subcompact car that is turning the automotive industry on its head. Here are a few interior features drivers are raving about. The new Fiat 500 comes with an easy to grip leather-wrapped steering wheel that makes it comfortable driving in all weather conditions. Not only is the steering wheel easy to grip, it is comfortable. You'll be able to focus on the road without thinking twice about the steering wheel. When it comes to car batteries, there are plenty of factors that influence how long a battery is going to last. One of the factors is the temperature that the battery is exposed to. If a battery is exposed to any extreme in temperature, then it is going to be in danger. How Do Auto-Dimming Mirrors Work? Part of becoming a well-informed vehicle owner is understanding how different systems in your car work. Not only does this help you to better appreciate your vehicle, but it can also help you to spot potential problems before they become expensive issues. We all like to cruise the streets of Miami in style. While practicality and reliability are our top priorities in a vehicle, some style and comfort goes a long way too. 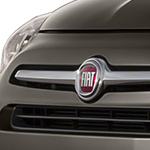 Fiat has long been a name in stylish yet surprisingly practical vehicles. The Fiat 500X lets you express yourself with 15 beautiful colors to choose from. The heated exterior keeps ice off the curvy, aerodynamic exterior. The luminous front and rear LED lamps provide the best visibility possible. Style and performance keep the Fiat 124 Spider Roadster popular with convertible sports car enthusiasts. Customize your roadster by choosing one of eight different body colors. You also have the choice between 16 or 17-inch aluminum wheels in silver. Or, you might prefer the 17-inch wheels painted gunmetal. The sporty design of the halogen projector headlights provide an extra wide light pattern to ensure greater visibility. The LED tail lights are durable and ensure visibility by other vehicles. Enjoy the wind blowing through your hair with the top down. When needed, put the top up. 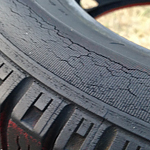 Your car tires will give indications when they might fail. Here are a few warning signs to look out for. Be on the lookout for low tire tread. In addition to your vehicle being unable to grip the roads when wet, these tires could be a few miles from failing and leaving you stranded on the highway. If you can notice wear on one side and not the other of a car tire, this could be an indication the alignment is off.